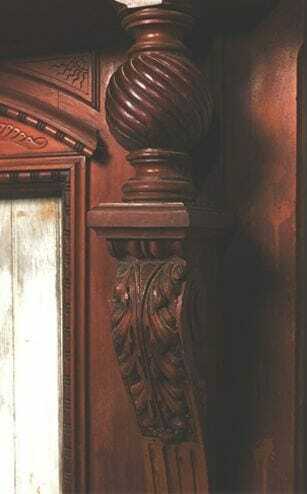 This stately piece is a mix of considered details. 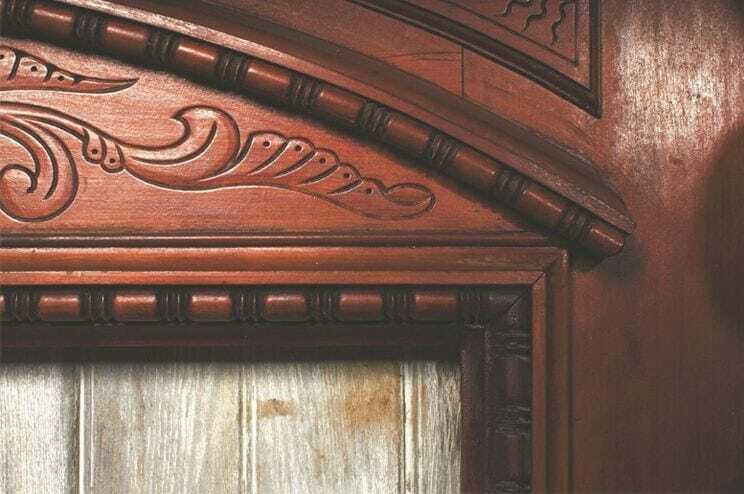 Acanthus leaves ornament the pilasters, while stylized foliage curls across the frieze. 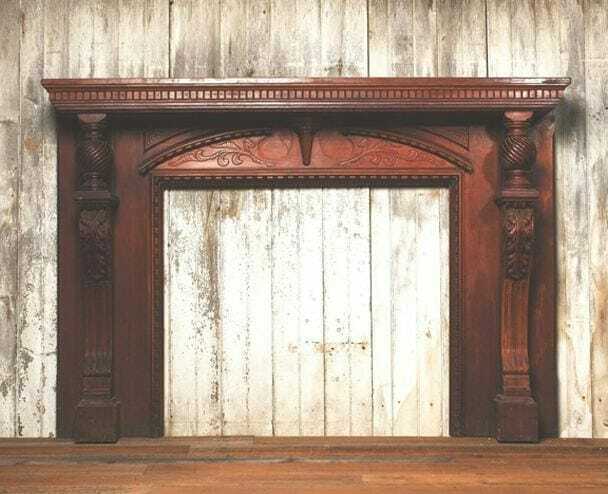 A bead and reel motif borders much of the mantle and stylized sun rays peek from the corners.